Bring your Joomla! article title to life! Put it in any module position and animate it! JMG Animated Title is a Joomla modul that adds css3 animation to your article title. Because static content is boring! If you use JMG Img Hover, please post a rating and a review at the Joomla! Extensions Directory. Need customization or translation? Feel free to contact us. Copyright © 2015-2017 Szekeres Internetdienstleistungen. All Rights Reserved. joomega.com is not affiliated with or endorsed by the Joomla!® Project or Open Source Matters. 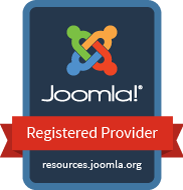 The Joomla!® name and logo is used under a limited license granted by Open Source Matters the trademark holder in the United States and other countries.